The recent death of “Dear Leader” Kim Jong Il, dictator of North Korea, has brought this isolationist country to the forefront of world news again. 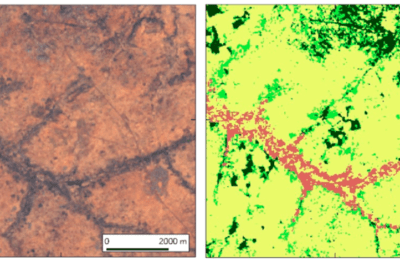 Known in part for shunning most of the outside world, one of the ways information is gleaned about this country is through remote sensing and satellite imagery. For example, Amnesty International used satellite imagery to understand the scale of prisons in North Korea. 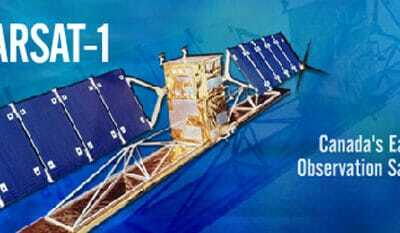 Satellite imagery has also been used to document the nuclear capabilities of the country. The literal dark ages of North Korea is obvious as captured by NASA’s Bright Lights, Big City program which created the famous image of the world’s man-made lights at night with data from the Defense Meteorological Satellite Program (DMSP) Operational Linescan System (OLS). The brightest areas on the map are those with the highest density of urbanization. 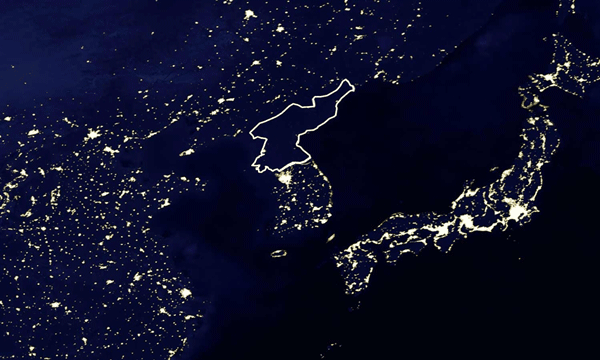 As noted in MSNBC’s PhotoBlog, the area of North Korea could be misinterpreted as a body of water given the utter lack of light as compared to neighboring countries of China, Japan, and South Korea. The GIS Doctor blog took an interesting look this past May at the lack of GIS data for North Korea on Google Maps. The author, Ben Spaulding, compared the geographic data coverage of Google Maps, Bing, OpenStreetMap, and MapQuest for North Korea. While Bing, OpenStreetMap, and MapQuest all contained varying levels of details for North Korea, Google Maps contained only a label for the country and one point location for the Pyongyang, the country’s capital. Spaulding was unable to find an explanation for the lack of coverage with Google Maps. 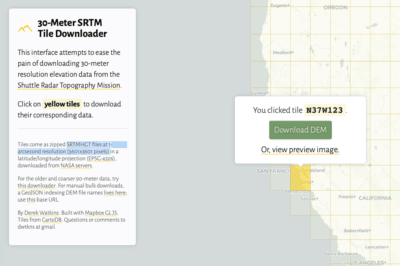 According to Google, North Korea is on the list of countries being mapped through Map Maker, its crowdsourcing GIS data program. 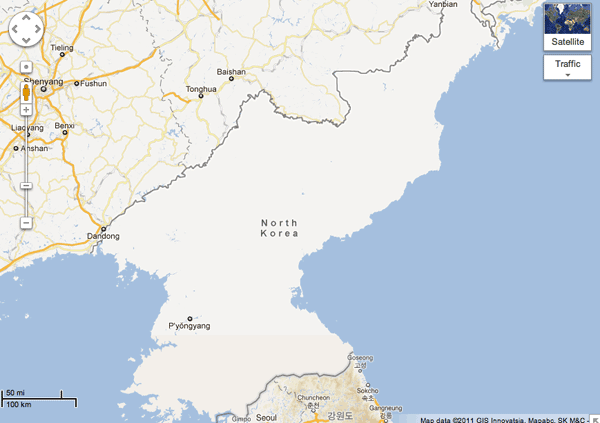 Extent of GIS data for North Korea from Google Maps.